Calgarth House is a well-maintained period style property, with the interior completely reconstructed to provide three floors of modern office accommodation. Entrance to the building is via the refurbished lobby in Norwood Street, which has a security video door entry system leading to a communal post room, passenger lift and stairs to all floors. Each floor has separate male/ female WC facilities. 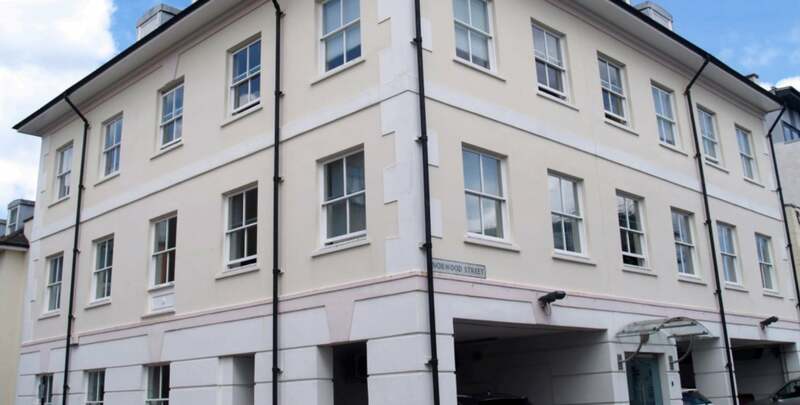 The second and third floors are available to let as a whole, being 4,584 sq.ft. in total, but separate floor leases may be considered. Each floor has suspended ceilings incorporating Cat 11 lighting modules, carpets, computer system accessible raised floors, air conditioning, gas fired central heating, excellent natural lighting and allocated parking. The second floor of 3,330sq.ft. is accessed through a security door system into a modern reception, leading to a large open plan office area and small staff kitchen. The third floor is 1,254 sq.ft. and also open plan with a small meeting room off the main office area, plus separate kitchen facilities.